PUMA AutoDisc, the first ever wirelessly connected adaptive fit shoe hit the shelves in 2016. A shoe that laces itself simply through clicking a button on the shoe. 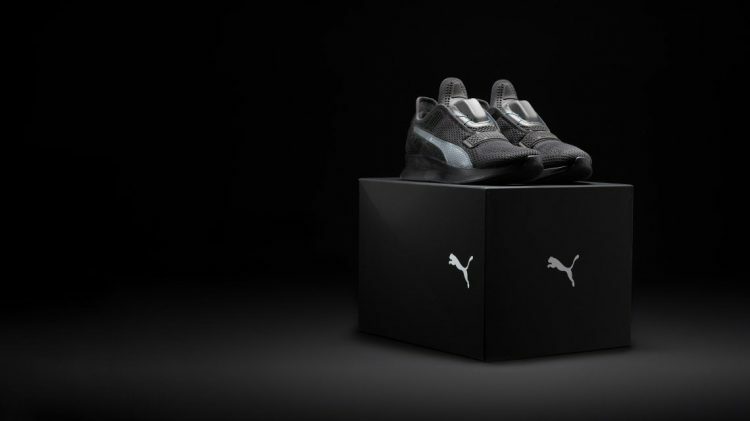 Ever since then, PUMA’s innovation team has worked hard improving functionality, user interface and durability. The result: Fit Intelligence (Fi). We no longer just talk about self-lacing shoes, we talk about products that adapt to consumers’ needs! Fit Intelligence is a technology platform that can be deployed to a range of different sport and lifestyle products, responding to athletes and their environment while making fit intelligent and adaptive to each user! 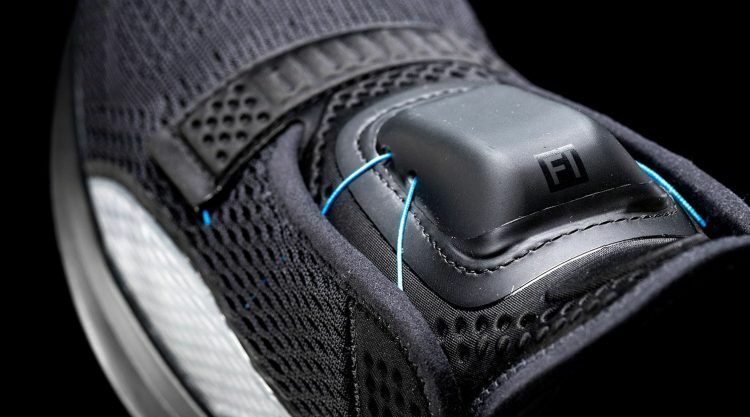 The first product implementing Fi is the self-lacing Fit Intelligence Training Shoe , built and designed to meet consumers’ needs in every aspect of their lives, be it in a gym, an office or an airport. The shoe automatically adapts to your foot and knows how tight or loose it can lace. The only thing you have to do is swipe up or down on the shoe with your fingers. Tiny zeros and ones, a binary code, tell integrated servo motors powered by an onboard battery to drive a uniquely configured cable system that winds and unwinds around your foot. If you swipe up on the Fi module on the shoe you tighten it and if you swipe down, you loosen it. Through a smartphone app available in the App Store, you can monitor and fine tune the fit. The app also gives you the fit setting and the battery level indicator. The technology used is called Dyneema fiber. It is super strong and used in the maritime, freight and commercial fishing industries and in products such as cut resistant gloves and synthetic link chains. The shoe’s knitted and molded upper provides for breathability and comfort. The shoe comes with preset fit levels. The Fi motor then senses resistance which helps to achieve the best fit – it cannot overtighten, and you can make little adjustments manually. The Fi motor remembers those adjustments. That’s smart, isn’t it? Can the Fi perform in every situation in people’s daily lives? Yes, it can! None other than global technology investment icon “Beta Bay” aka Bay McLaughlin, Co-Founder of Brinc, a company investing in startups and bleeding edge technologies, put the Fi up to test! 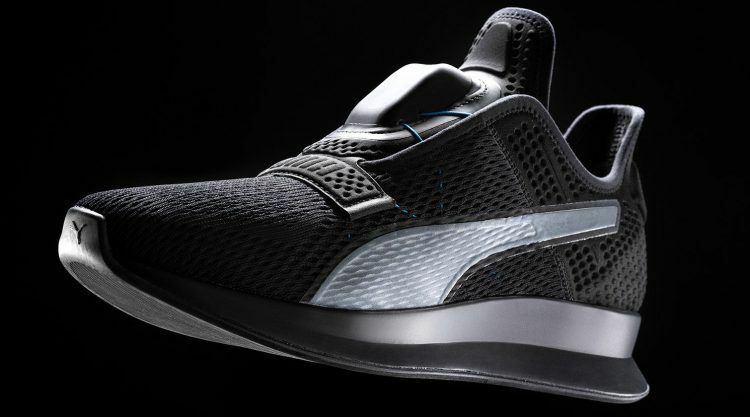 “As a global investor in wearable technologies, I know how hard it is to get a product like Fi right and after my first week with the shoes, it’s clear that PUMA is taking this platform very seriously and I’m impressed”, Bay McLaughlin said. The Fi Training Shoe will be available for consumers in 2020. 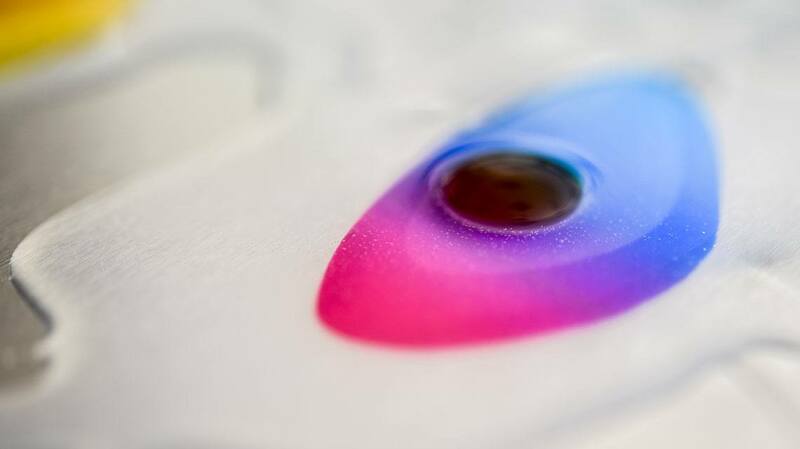 In the meantime, and for the first time ever, PUMA allows tech-savvy people to participate in Beta Testing of Fi to help us think of ways of making it even smarter and more powerful! The testers can sign up through the PUMATrac App, get a pair of shoes and can give feedback on the usability, design, engineering, and wearability of the shoe. Stay tuned for more information coming soon on about.puma.com and PUMATrac. Adaptive dynamic products are the future. One version of that is a smart product like the Fi Training Shoe. Another version is what we are doing in biodesign. There, we use bacteria instead of zeros and ones to dynamically adapt to the athlete and environment. The Reveal-Event of the Fi Training Shoe took place in Hong Kong with our Global Director for Innovation, Charles Johnson, technology investment icon Bay McLaughlin and . Here you can re-watch it! Anatomically molded heel and tongue. Anatomical placed cable support integrated into upper. Fi Module with swipe sensor for fit adjustment. The charging plate that comes with the shoe can also be used to charge a smartphone. Jogging A thing of the past!? PUMA drops first Selena Gomez collection!